Have you ever seen a child short of breath? Have you ever been fearful your child might die? I think every parent has, at sometime or another, had macabre thoughts. If you're lucky enough to have healthy children then those thoughts might only be fleeting but, if your child has a serious illness, you may have lain awake at night, tossing and turning, whilst your imagination takes you into the places that every parent fears. It's tough when your child is ill, no matter whether it's a cold or cancer, because for most of us, our children are the central pivot of our lives. Perhaps the love of parents and carers - is the greatest kind of love - love that is unselfish and bounteous. My second son has a peanut allergy and asthma. Luckily, he is extremely fit and these days his asthma and peanut allergy make very limited appearances. He has only been treated for asthma in hospital once and, on one further occasion, for anaphylactic shock. On a day-to-day basis I have very little to worry about and, as the years have gone by, I have learnt to put my fears and his afflictions into perspective. In recent years there have also some been some extremely successful peanut allergy trials in the UK which mean that there is the very real possibility that in the near future a cure for peanut allergy will be widespread. For nut allergy sufferers the future is looking brighter almost daily. For some parents though their fears never leave them. There is still a long, long way to go towards finding treatments and cures for many other illnesses and, of course, towards solving vast global problems such as drought and disease. In fact, there are so many demands on us from charities that sometimes it is overwhelming - especially when you know you only have a finite amount of time or money to help. Just where do you begin? Who do you support? Sometimes we can only follow what our heart tells us. You know, I think there is a lot of truth in that old phrase "charity begins at home" because if we cannot feel compassion for those closest to us we are unlikely to learn how to extend it to others. Seeing our loved ones afflicted or dying from cancer or heart disease, or any number of other illnesses, is when we truly understand pain. Not just the sufferer's pain but the pain of loving them too. Adversity, loss, suffering make us appreciate what we have - and what others do not. Last week, I introduced Legend Press author Linda Huber and The Write Romantics and their anthology Winter Tales, a collection of romantic stories, which is being sold in aid of The Cystic Fibrosis Trust and The Teenage Cancer Trust. I decided to support them as not only do I have direct experience of cancer - my father died from it in 1999 - but earlier this year I met a young Canadian writer called Derrick on Twitter who is only a little bit older than my eldest son and who suffers from Crohn's disease, cystic fibrosis and cancer. Despite Derrick's illnesses he's a lot of fun, has a sharp sense of humour and tries to see the best in life even when he's struggling to breathe. So, when I saw Linda's post about her contribution to Winter Tales, I knew instantly it was a venture I wanted to support. I hope you'll all support it too. On Wednesday, Derrick will here on my blog telling us about his life and why support from people like Linda and The Write Romantics is crucial in the fight to cure debilitating and life-threatening illnesses like cancer and cystic fibrosis. After that, it will be back to the usual (silly) business! Currently £0.97p on kindle and £5.43 in paperback. 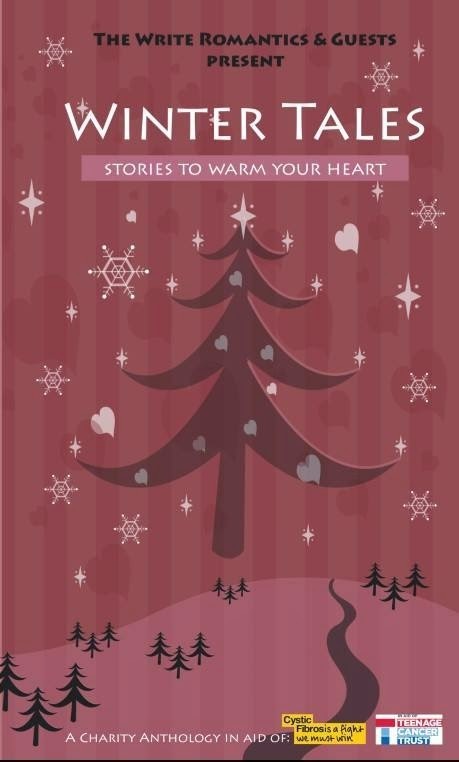 Winter Tales is a super little collection of stories ideal for any lady (or gent!) 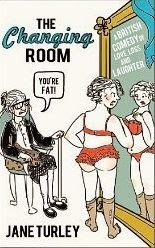 who likes to indulge in romantic fiction. There's a whole variety of love stories from the cosy and warm to the surprising and unexpected. The ebook is an absolute pittance at the moment at only 97p in the UK - which is less than a cup of tea or a weekly magazine. So, if you like romance or have a relative or friend who likes romance, please consider purchasing or sending a gift card and helping Derrick and others like him in their fight for survival. Santa knows what's good for him! The Problem of Facial Hairs - Again.